We will have our annual Storybook Character parade on Halloween, Tuesday, October 31st. We can't wait to see all our pups decked out as their favorite storybook character. Please remember to bring your book that goes along with your costume! Pamlico County Schools will be closed for students on Tuesday January 9, 2018. It will be an Optional Workday for Staff with a Two-Hour Delay. Pamlico County Schools will be closed for students AND staff on Friday January 5, 2018. Pamlico County Schools will be CLOSED for Students & Staff on Thursday January 4, 2018. Our school is all shined up and ready to welcome our pups for the 2017-2018 school year! Frankie our Reading Dog and her handler, Mrs. Olga will be there to welcome students in our Kiss and Go Lane beginning at 7:30 a.m. GO PUPS! You won't want to miss this meeting on September 19th, 2017 from 5:30 to 7:00 p.m. Visit classrooms and sign up for fall conferences. You won't want to miss Family Fun Day! 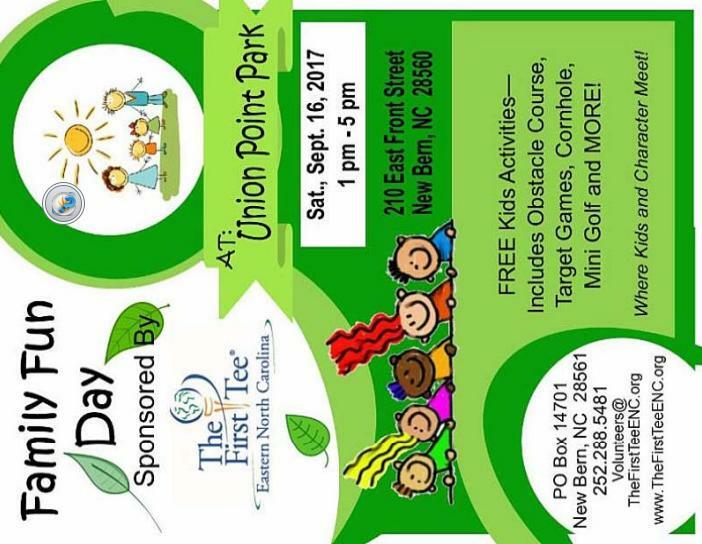 Family Fun Day will be on Saturday, September 16th from 1:00 to 5:00 at Union Point Park. See the flier for more details. Substitute teacher training will take place on Thursday, September 14th. Check out what your child will need for the new school year. We are looking forward to seeing everyone very soon! We are really looking to seeing all our new and returning pups at our 2017 PCPS Open House on Wednesday, August 23rd from 4:00 to 6:00 p.m. Our Open House will overlap with the Fred A. Anderson Open House which will be held from 5:00 to 7:00 p.m. This overlap will allow parents with students at both schools to visit on the same evening. Enjoy your summer and we will see you in August!